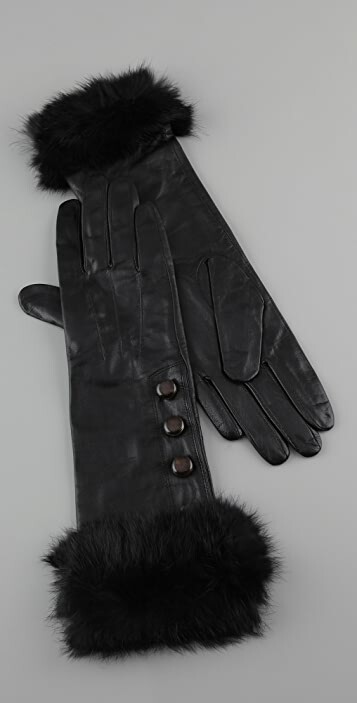 Long leather gloves in soft lambskin with glamorous fur cuffs and polished buttons. Lined. 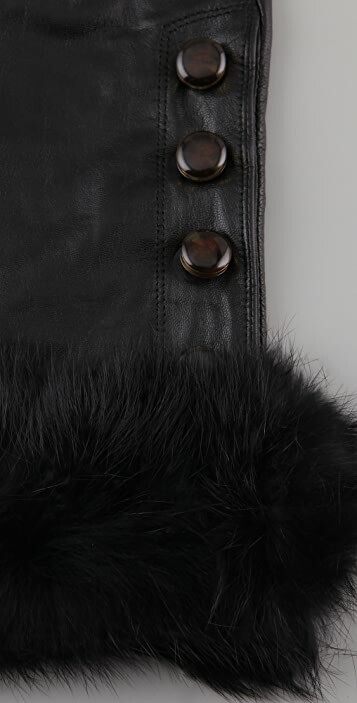 Fur: Dyed rabbit fur, imported from China.